There is no question that green tea delivers a healthy dose of antioxidants and cancer-fighting power with every sip, but what if brewed tea isn’t, well, your cup of tea? Another tasty way to reap the health benefits of green tea is with matcha, a powdered green tea that is now known in the gourmet realm as the ultimate functional food. From smoothies and baked goods to savory vegetable or meat dishes, matcha gives recipes a uniquely flavored and healthy edge. Here’s more on the health benefits of matcha and ways to incorporate this “green tea on steroids” into your diet. ingest one hundred percent of the nutritional benefit of the entire leaf, not the just brew as with loose leaf tea,” explains Matcha Source founder Alissa White. industrial grade matcha which is ground by machines.” The stone mill grinding process improves the characteristic taste and mouth feel of matcha. Matcha powder is superior in nutrition compared to brewed tea because some green tea nutrients stay locked in the leaf, which is removed from brewed tea once it has steeped. Research shows that matcha increases metabolism, fights cancer, delays premature aging, and relaxes the mind. with a significant effect on fat oxidation. matcha is 1300 units/g, compared to 105 units/g for pomegranates and 91 units/g for wild blueberries,” adds White. (epicgallocatechin gallate) is the catechin with the broadest and most potent cancer-fighting properties. 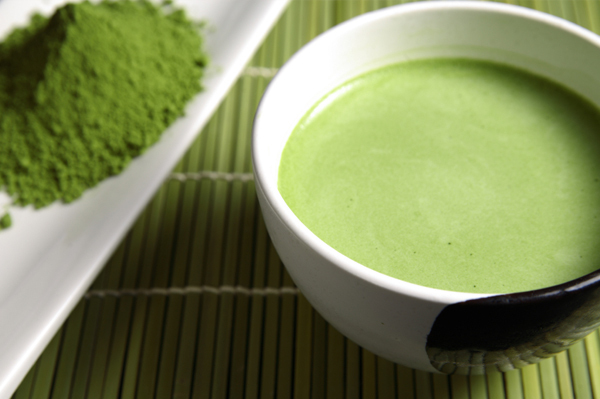 Sixty percent of the catechin content of matcha tea is EGCg,” says the matcha expert. especially appealing to a growing number of chefs and home cooks who are including matcha in a number of mouthwatering meals. hot, cold, sweet or savory dishes. cakes and cupcakes, and combining the green tea powder with rock salt and sprinkling it on fish or eggs. To learn more about the health benefits and culinary applications of matcha, visit MatchaSource.com. Matcha Source is also offering SheKnows.com readers a first time buyer bonus: Use coupon code “sheknowscha” to get 10 percent off your initial order.